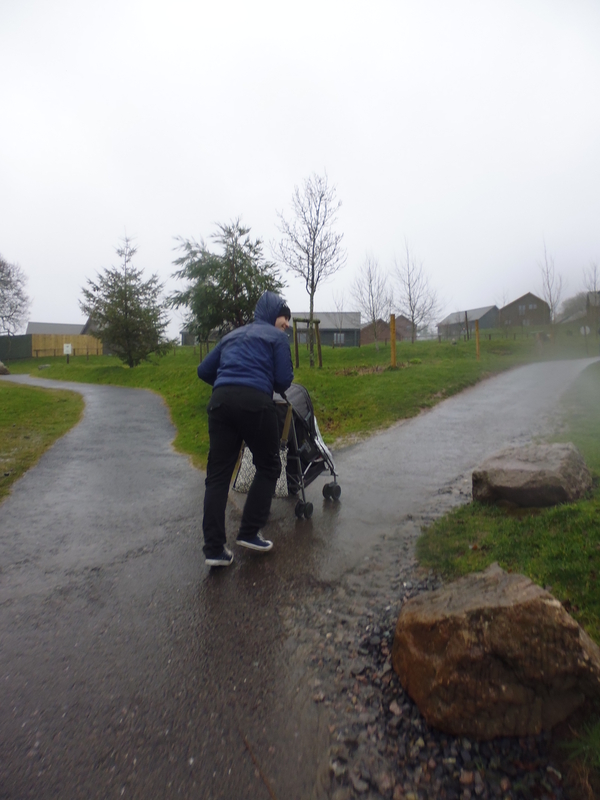 THERE are loads of activities on offer in Bluestone, but the Blue Lagoon water park has to be the highlight. 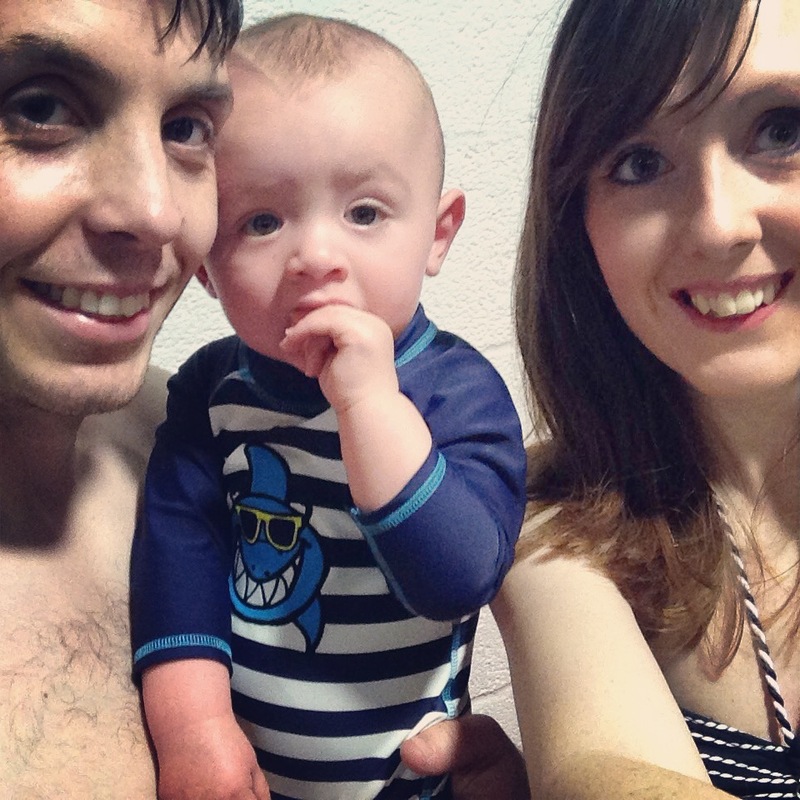 Santi loves going swimming, and it’s one of our favourite things to do as a family. We waited for Stew to join us at the resort (he was working for the first few days of our stay) as I didn’t want him to miss out on the fun … and so I had an extra pair of hands to help wrestle Santi into his wetsuit! The Blue Lagoon is quite a trek from the lodges, which was a bit of a pain as it was raining heavily for most of our stay, but would probably be lovely on a sunny day as it’s down tree-lined paths. We passed so many families on buggies that I was starting to wish we’d hired one by the time we got to the pool, already looking like we’d taken a dip. When you arrive at the water park you’re given a pass which lasts the duration of your stay, and you can use the pool as much as you’d like (again, if the weather wasn’t so bad we would definitely have gone back a few times). The pool itself is on an incline (like walking into the sea), so you don’t have the hassle of trying to get up and down ladders with a baby, and it’s surrounded by deck chairs to give the impression of being at the beach. The roof is made up of see-through panels so the building is bright and airy, but lovely and warm at the same time. There are three parts to the pool, a lazy river and a few slides for older children, which look like great fun! After a slightly traumatic changing session (I managed to lose Stew twice in the changing rooms and Santi decided getting undressed was actual torture) we headed straight to the main pool and into the lazy river … and it was great! There’s a slight current so you don’t need to swim, and it takes you around the outside of the building. Santi loved it and was kicking like mad as we swum him around. This was clearly his favourite part of the water park! While we were in the main pool the sirens sounded for the wave machine, so we headed to a shallower bit where we wouldn’t get too bashed around. Older children had a whale of a time in the deeper end, and Santi enjoyed us bouncing him over the waves as they crashed. To calm down, we ventured into Nippers’ Cove, a gated area for babies and toddlers. This was set in the corner of the water park, and had a paddling pool with a mini slide, as well as rock pools for exploring. We loved chilling out in the warm water and watching the toddlers pointing out starfish and octopus on the rocks while Santi splashed around. The pool was warm enough for us to stay for about 45 minutes, and after getting dressed we popped to The Fish Shack – a cafe looking onto the Blue Lagoon – for a cuppa and to give Santi his lunch. Even though we only made it to the Blue Lagoon once during our stay, it was well worth the wait. 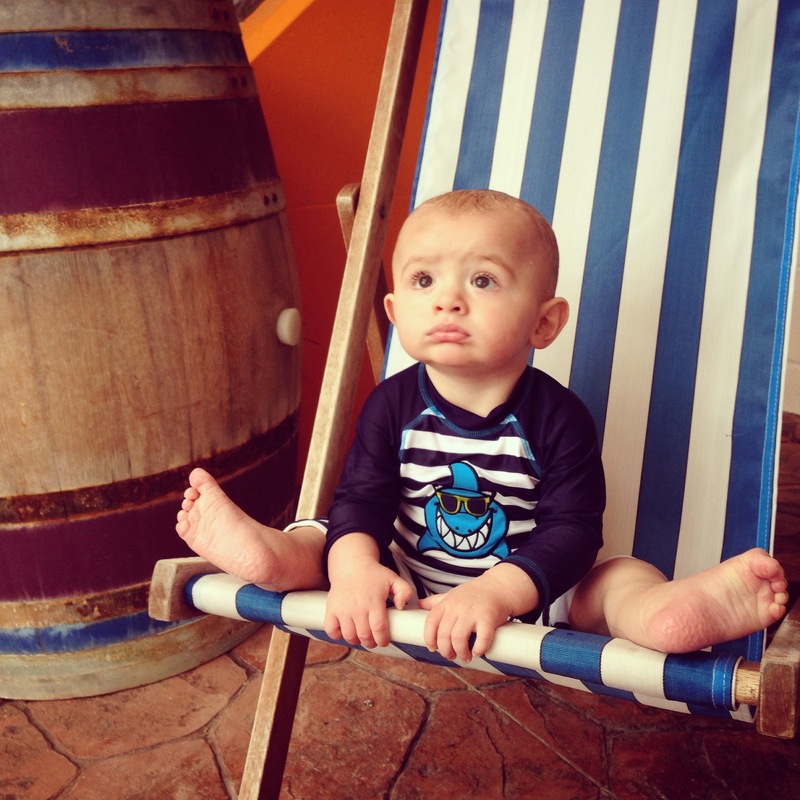 Santi had a great time time in the water and slept long enough for us to have lunch back at the lodge … bonus!